Nearly fifteen years on from the Lisbon Agenda and the introduction of the Euro in 1999 – a pan-European currency which would revolutionise the use, and movement of money across the European Union (EU) – we are nearing the deadline for compliance with the logical payments extension of the Euro, namely the Single European Payments Area (SEPA). This legislation, due to come into force on February 1st 2014, will see a unified payments landscape across the EU, bringing swifter, more efficient payments both domestically and across borders, while driving down the costs businesses incur each year across the continent in missed, delayed and incorrect payments. However, despite repeated warnings from the multitude of institutions and government bodies responsible for the implementation of SEPA across the Eurozone – not to mention the work done by banks and other payments bodies – many businesses have failed to heed the advice and have left migration and compliance to the last minute. Some of these businesses have assumed that SEPA may be delayed or annulled, or the deadline extended, but with the only body responsible for such a decision – the European Commission – never having made any indication this was ever likely to be the case, those who have relied upon such a shift have backed the wrong horse. SEPA is a reality, and it is one looming large on the horizon. So, for those businesses which have not begun the journey to compliance, what options are open to them? Non-compliance isn’t one of them – SEPA is a legal requirement established by European law, and the legacy payments systems, such as the national clearing houses, which have underpinned transactions to date will be switched off. Ignoring the deadline is therefore not an option. It is a transition which, depending on the scale of a company’s payments requirements, can take anything from six to twelve months. With just three months to go until the deadline, a bridging solution is therefore essential for any company which will not hit the deadline. Luckily for businesses in this situation, there are contingency options available which will buy some time for the company to undertake the checks and validations needed to become wholly compliant. On the face of it using a contingency, or conversion service, sounds like a great ‘get out of jail free’ option however ensuring compliance in this way is not without complications and implications. The first port of call for support must be the business’s banking partner(s): many of the major corporate banks either have or will be offering contingency services. Provision of services by banks is not however uniform; indeed some, most notably Deutsche Bank, have made the decision not to provide a solution themselves. It’s hard to imagine that any bank will leave their customers completely high and dry, however where they are not providing services themselves, their strategy is likely to be to point customers in the direction of commercial solutions and of course there will be associated costs. Where banks are offering contingency services there are important issues to be taken into account. The SEPA Regulation 260/2012, and the interpretation by the banking community, states that a bank offering such a service must make the conversion at arm’s length from the payment initiation and separately from any payment services agreement. Quite how the banks are interpreting this is yet to become clear, however a seamless conversion to payment service cannot be offered. Therefore, at the very least, employing the contingency services of a bank will add another step to payment processing, lengthening the payment lifecycle and potentially impacting cash flow. Outside of the banks, IT providers are offering contingency solutions and indeed mandate management solutions for direct debit; these should enable the corporates to comply in time. As with solutions offered by banks, using these services will add a step to the payment process and as a commercial service there will be obvious cost implications. A reason why so many businesses are going to need SEPA contingency plans is because the process of finding and correcting payments data containing errors takes time before it is migrated to the new formats. Data can be wrong due to a number of reasons including errors being caused by anything from customers to technical glitches. However, in a SEPA environment, businesses must accept responsibility to ensure that data is checked and corrected where necessary as the risks associated with failed payments will fall on the business’s shoulders. It is up to payment service providers to decide how they deal with incorrect data, but they do not have to accept liability for correcting any issues that arise. Once all data has been corrected, it’s important to keep it that way. Regular spring cleaning will ensure long term SEPA compliance and avoid the need to perform a mass migration of data again in the future. An in-line data proofing process can be established to check payment data periodically so that as branches close, banks merge and accounts transfer, information will be kept up to date and the consequences of non-compliance can be avoided. The contingency process needs to be managed by all key stakeholders in the business with a role in the SEPA compliance process – the CIO, Finance Directors, the Board, as well as HR and Marketing divisions; it really is legislation which touches all aspects of the business if handled incorrectly. However, if managed properly, SEPA will leave a lasting, positive and streamlined payments model for decades to come across the Eurozone (and beyond). Contingency plans are a reality many businesses are going to have to face up to – they can no longer rely on hoping that SEPA will be delayed or the deadline for compliance extended; this was a misleading expectation to begin with. Instigating an interim plan can always only be seen as such – it’s a short term bridge to fill a short term necessity. The costs and lengthening of the payment lifecycle bought by using a contingency solution means that the less time a corporate has to tackle the problem in this way the better. The deadline to get started on migration in order to hit the February 1st 2014 cut-off date for compliance has gone – there’s no point suggesting otherwise. What businesses have to do now is get prepared to bridge the gap they’ve brought about by ignoring the calls for action since SEPA was announced a decade ago. Contingency plans are the only solution now open to them. Jonathan Williams, Director of Strategic Development at Experian, is responsible for innovation, working with the payments industry and strategic projects within the Identity and Fraud division of Experian. Spanning both technical and marketing disciplines, Jonathan focusses on the commercial opportunities created by market change, and how these can be turned to the advantage of Experian’s corporate customers. Jonathan joined Experian after promoting strategies for growth as European Business Development Manager for Fujitsu Telecom. Prior to this he was responsible for the product propositions which took two start-ups to IPO: Content Technologies and Virata Corporation. He has also held engineering and IT roles at British Aerospace (now BAE Systems), the University of Cambridge and Advanced Telecommunications Modules. 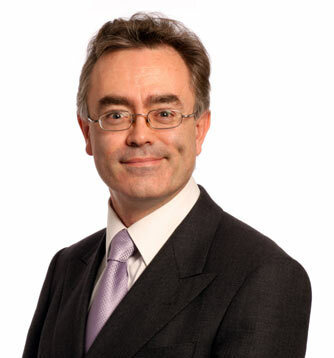 Jonathan holds an MA in Theoretical Physics and a postgraduate qualification in Computer Science from the University of Cambridge and is the Experian representative to the Euro Banking Association (ABE) and the Payments Council.